The Rolling Stones are set to take to the stage at Croke Park this year, with the band to play the stadium on May 17. Aiken Promotions has announced that the veteran act will play Croker this summer as part of their No Filter tour. The Rolling Stones last played in Ireland in 2007 when they headlined in Slane. Speaking about the upcoming tour, which will also visits the UK, France, Germany, Czech Republic and Poland, frontman Mick Jagger said: ''This part of the No Filter tour is really special for the Stones. The @RollingStones Kick off part two of the #StonesNoFilter tour @CrokePark, Dublin on 17 May 2018. 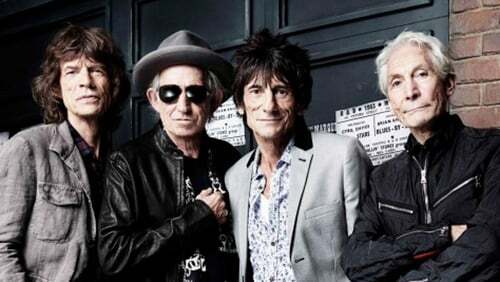 The iconic group will treat fans to a set list packed full of classics such as Satisfaction, Tumbling Dice and Brown Sugar but each night they will include a couple of unexpected tracks and randomly selected surprises from their formidable arsenal of songs. Tickets for the Rolling Stones, Dublin will go on sale Friday March 23. Earlier this month, Aiken Promotions said it intended to make an application to hold a fourth concert in Croke Park this year. Taylor Swift is due to play two Croke Park gigs in June, while Michael Bublé will perform on July 7. On Monday, around 100 people attended a public meeting in Drumcondra which was held to gather objections to the planned Rolling Stones performance. Take a trip back in time to see RTÉ's coverage of the first two Rolling Stones' concerts in Ireland in 1965 and 1982.